I lost track of the days in My #The100DayProject. I've been participating in this Free Global Art Project that is winding down it's 5th year. My goal was to create and publish one video each week in June. The videos would focus on increasing awareness about Alzheimer's Disease and promoting GlassEyesOnLine Christmas in July Event. I wanted to create videos that would be liked and shared because they were creative and interesting. It's been an adventure with lots of ups and downs. Each week or two; I would get an e-mail from the Project to urge me forward and get me to reflect on the experience as I was creating. I made 10 Youtube videos that were viewed a total of 265 times thus far. As I reflect back on the experience; I realize that creating is hard work and takes lots of practice. I had to learn many new skills and make time to create. I thought I would record a video and publish it. There is that middle piece called Editing. It is a long and involved process that takes double the time of recording and publishing. I used Camtasia Studio and learned how to use many of the features. When I view the videos I created; I see that I learned some new skills and the overall quality of my work is progressing. If you followed my blog; you know that I took the Free Youtube Academy Course Create Great Content while working on this project. I learned a great deal about making good videos from creators that shared their knowledge and experience. ​I relied heavily on my camera and a tripod. I think I would enjoy creating videos more if I was able to collaborate with others on the project that have some experience with lighting, recording, and editing. I also would prefer being behind the camera; rather than in front of it. I've learned so many things about Alzheimer's Disease through my research for this project. I tried to creatively incorporate what I learned in to my videos; but the Alzheimer's Association has much better quality videos ! Realizing that was one of the low points for me in the project. I kept comparing my creations with what was out there on Youtube and other sites. I shared those links to videos and articles in my blog for anyone interested in learning more about Alzheimer's. ​I'm glad I took the time to learn and share the information because I know how important our donations are and what the money is being used for: Research and Supportive Services. GlassEyesOnLine. This is our first event and we are very excited about it. We have been planning since January and promoting the event through social marketing for the past couple of months. ​A portion of the proceeds from sales at GlassEyesOnLine will be donated to the Alzheimer's Association. A couple of the videos I created show some of the products that can be used in Holiday crafts, gifts, and decorating. Make sure you stop into GlassEyesOnLine each week during July and pick up supplies you need for your holiday projects! A Big Thank You to all those people that sent comments and words of encouragement and support to me during My #The100DayProject ! I live in South Carolina and the temperature was in the 90's today. That did not stop me from wearing my Brain Hat. I wore it first thing this morning at GlassEyesOnLine while packing orders. I also wore my brain hat throughout the day at the local free health clinic where I also work. 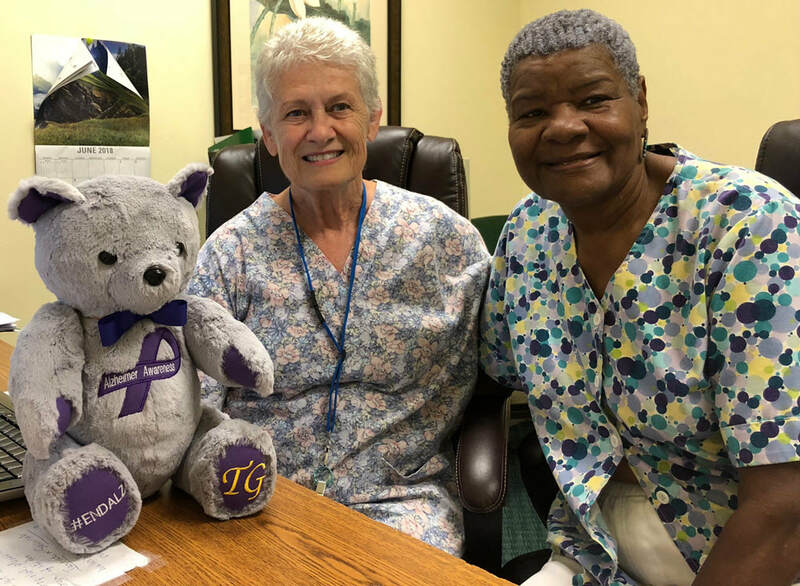 I met and talked with people about everything I had learned about Alzheimer's Disease and GEO Teddy Bear tagged along with me. ​I had an opportunity to ask people if they knew someone that was impacted by Alzheimer's disease. 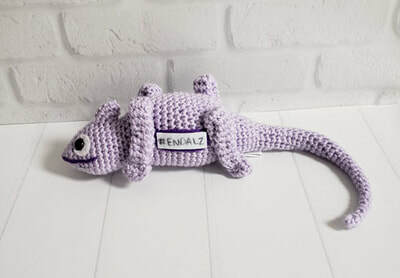 Charlyn was Live All Day for #thelongestday Crocheting to support the Alzheimer's Association. We were able to make a donation direct to the Alzheimer's Association through her channel. I chatted with her and other creatives. 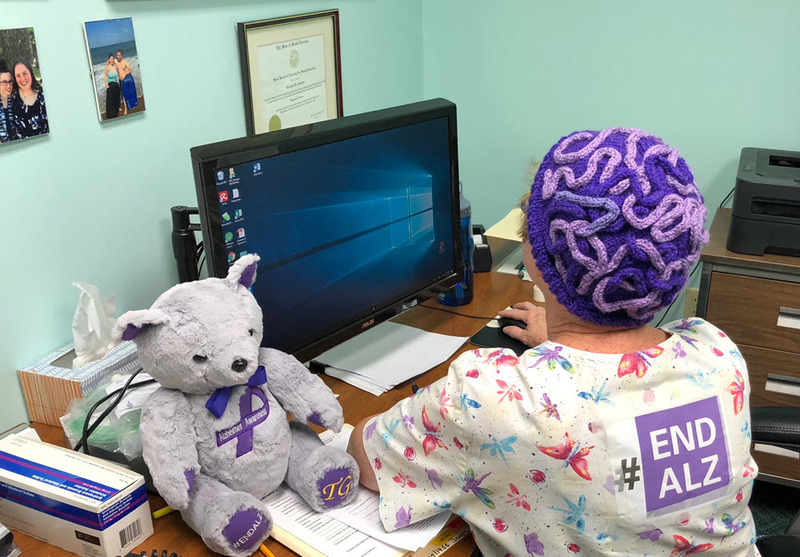 Although wearing my Brain Hat all day was not easy; I kept it on because it was a great conversation starter for talking about #ENDALZ and all I am learning in My #The100DayProject about the Alzheimer's Association. Read my blog and watch my Vlogs to find out more ! 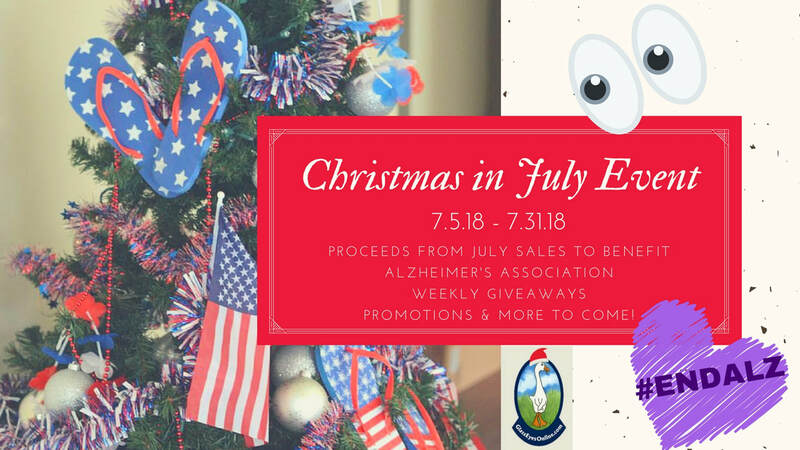 We're getting ready for our Christmas in July Event with a portion of the proceeds from Sales to benefit the Alzheimer's Association. Formed in 1980 to advance research and enhance care for those living with the disease; the Alzheimer's Association is the largest Nonprofit Funder of Research to #ENDALZ. This week we are continuing Holiday craft, gift and decorating ideas videos as part of My #The100DayProject. Jerry explains what he looks for when choosing a pair of glass eyes for customers and shows one way to make a loop with Glass Eyes On Wire. We show a variety of styles, colors, and sizes that we carry at GlassEyesOnLine.com for creative projects. Learn more and see other demonstrations of how artists install glass eyes into their creations by watching the videos below. Pam Duthie Reviews Glass Eyes she bought From GlassEyesOnLine and Demonstrates how she installs Glass Eyes on Wire in Needle Felted Dog. Weekly Give Aways and Lots of Holiday Craft, Gift, and Decorating Ideas for a Creative Season ! If you are tuning in for the first time; my project is creating Youtube videos to raise Alzheimer's Awareness and promote GlassEyesOnLine Christmas in July Event with a portion of sales proceeds to benefit Alzheimer's Association. 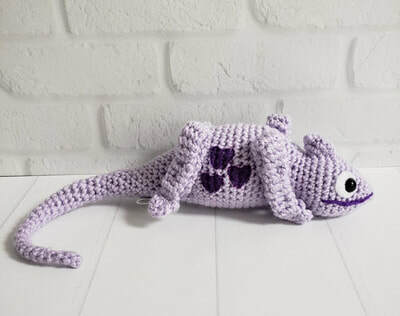 I received a new helper in the mail this week from Charlyn, a creative crochet pattern designer and the proprietor of The Cheerful Chameleon. I call my new helper, AL and You'll know why when you view my Youtube Video above. While working on this vlog, I decided to go to the local farmers market and get photos for the slide about diet. Jerry and I met Ann, the owner of Corvus. Ann lives part of the year in Greece and the other part of it in Beaufort, South Carolina. We were able to taste test the various selections of olive oil available and the flavor was fabulous. One thing I'm learning about Videos and Vlogging is that I need to be more flexible and open to alternative ways to get the message out. I had a plan to create a slide show about SHIELD for this Vlog using staged photos of GEO and AL. In hindsight I realize I missed an opportunity to take more short videos in the farmers market that I could have included in this Vlog. More than five million Americans currently have Alzheimer's disease, the progressive brain disorder that eventually destroys brain cells, leading to memory loss and changes in thinking and other brain functions. But that's not the truly terrifying statistic — it's the number of Americans projected to have this disease by 2050, as many as 16 million people. Alzheimer's is the sixth-leading cause of death in the U.S. and every 65 seconds another American is diagnosed with this disease. The stakes are clearly high and the need for better treatments is urgent. We are looking forward to donating a portion of the proceeds from GlassEyesOnLine sales in July to the Alzheimer's Association to support their research to find a cure. Don't forget to e-mail glasseyesonline@gmail.com with information about your team so we can spread the word on social media and support your team. I can't believe it's already June and I am half way through with my #The100DayProject. We are getting ready for Christmas in July at GlassEyesOnLine with a portion of the proceeds from sales to benefit Alzheimer's Association. Today I created a Vlog about using Flock Safety Noses (buttons, eyes) in various holiday craft and decorating projects. I'm fond of those Red Flock Triangle and Heart Noses for Rudolph. 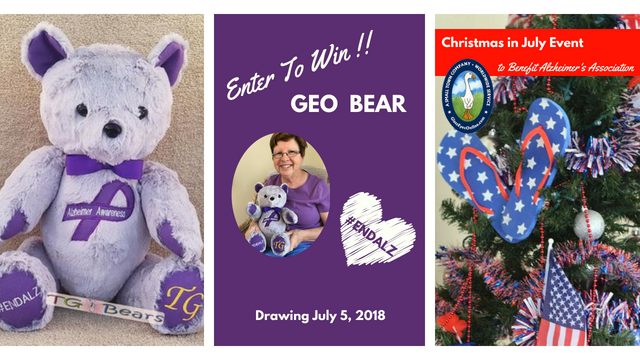 GEO Bear created by Monica from TG Bears is Helping us to promote #ENDALZ and GlassEyesOnLine Christmas in July Event. Don't forget to Sign Up for a chance to win our Geo Bear Giveaway and Get extra chances to win by visiting the links in the section for extra entries. 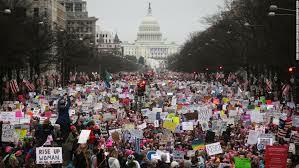 The First March for Science was held on Earth Day, April 22, 2017. 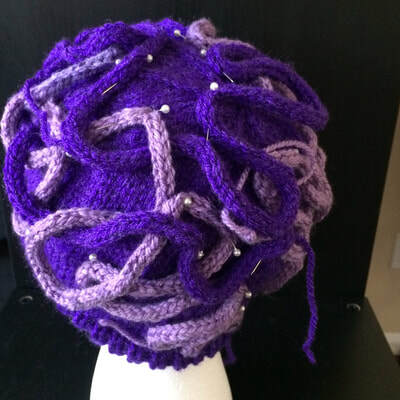 Brain Hats were all the rage and you could find crochet, knitting, and sewing patterns for these hats everywhere. 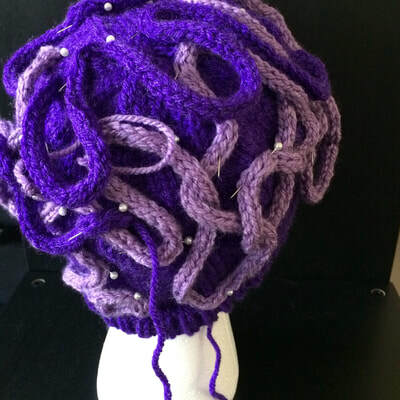 You could also buy the hand crafted brain hats from creatives in their Etsy Shops. I decided I needed one for My #The100DayProject. I thought it would make a cool prop for one of the Youtube videos I'm creating! I reached out to Meri, a college professor who also makes and sells hats in HatsbyMeri Etsy Shop. 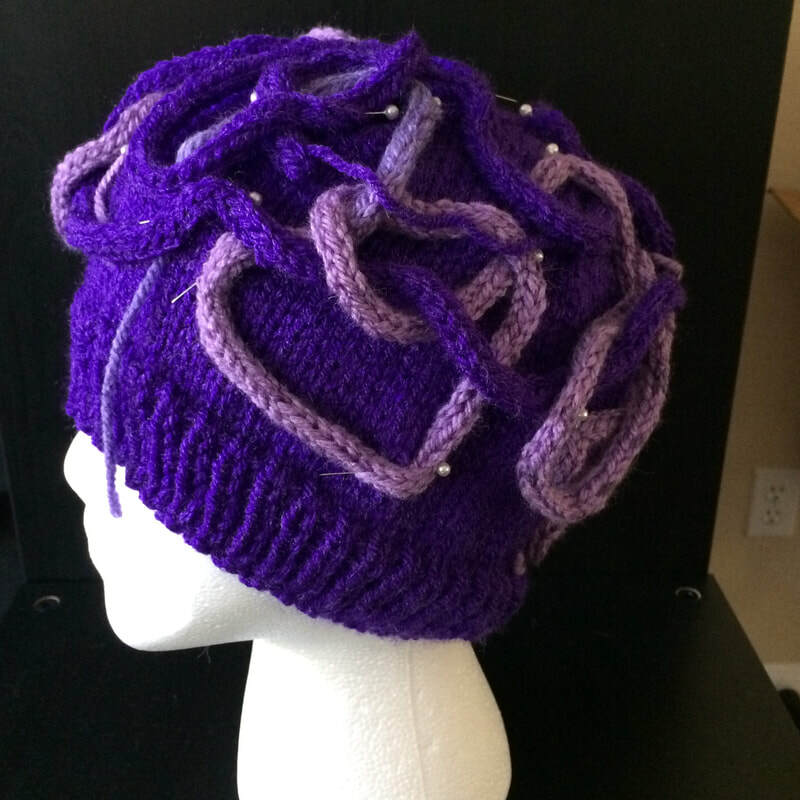 I explained that I needed a Brain Hat to use in an increasing Alzheimer's Awareness video. She was super excited to make a special brain hat for me in shades of purple. I've purchased hand crafted items before; but I must say that purchasing a hat from Meri on Etsy was a unique experience. She communicated with me through convos showing me photos of her work in progress. I really appreciate the time and effort she put in to making my Brain Hat and communicating with me throughout the process. It's currently the 6th leading cause of death in the US. I want to invite you to join me on June 21, 2018 #TheLongestDay. You can purchase a brain hat from Meri or if you crochet, knit or sew; you'll find free patterns for brain hats to create. ​Join a Team or Create One and raise money to help the Alzheimer's Association find a cure ! I've continued with Youtube Creators Academy over the past week Lesson 4 Shooting on Mobile. 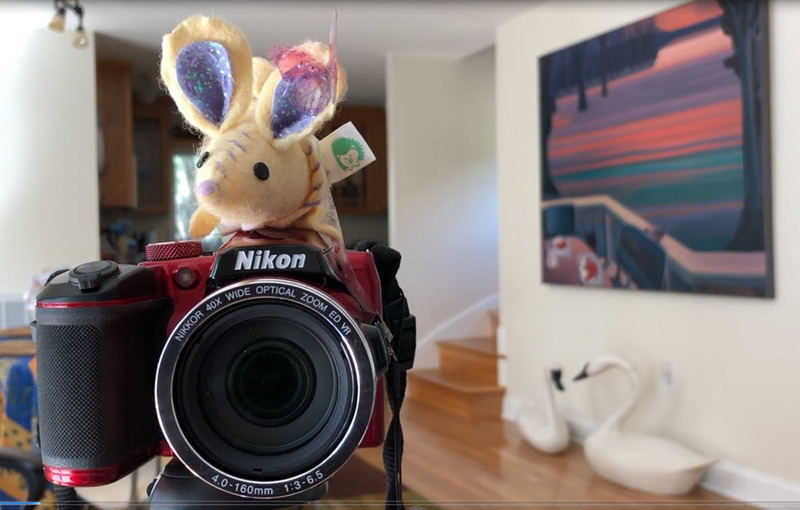 There are some cool tips for using household objects to get your camera to do some time lapse photography. I need to pick up some gaffers tape and an egg timer. I'd also like to get a selfie stick. I still have a hard time talking to the camera as you can see in the sample recording below. I need to keep practicing !! I tried putting a mouse on my camera above the lens to have something to focus on while I was talking. I want to have a conversation like I'm talking to a person in the room with me. I'm still working on finding my voice with recording a video. 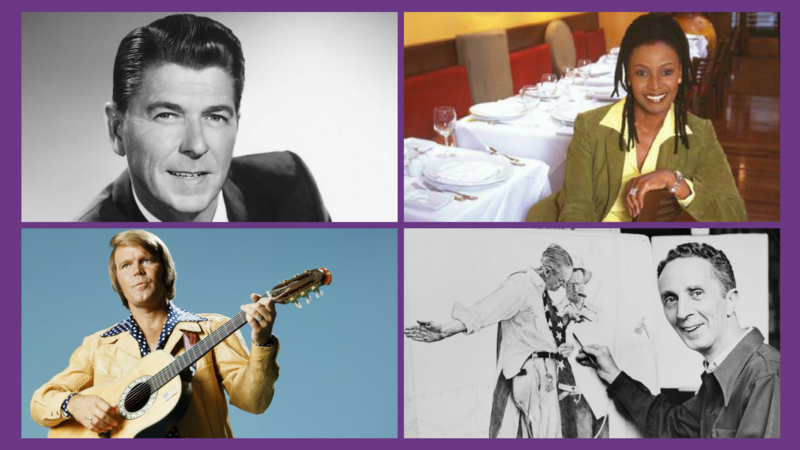 I've also done more research about the history of Alzheimer's Disease. 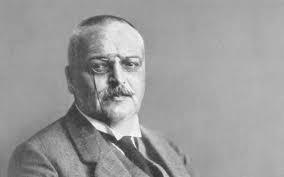 In November 1906, Alois Alzheimer, a psychiatrist and neuropathologist, presented the case of a 51 year old A. Deter. He recorded in great detail her responses to his questions before her death and created drawings that illustrated the Neuro Fibrillary Tangles in her brain found during the autopsy. This later would became the first documented case of Alzheimer's Disease. View data about the Projected Incidence of Alzheimer's Disease in the future as our population of baby boomers age. This might be a good subject for a future vlog. Vlog 3 is my GEO Bear Reveal. We commissioned Monica from TG Bears to make GEO Bear. GEO Bear is going to be my mascot and helper for My #The100DayProject. ​Joy was visiting over the weekend and helped with recording the videos. We experimented with using the phone camera and my Nikon camera. Both cameras were used in this Vlog. Road noise was a problem when I was taking the box out of our mail box. You can see and hear the noise in the short take with the phone camera above. I took out the sound and put music in it's place. You will see and hear the difference in my Geo Bear Reveal on Youtube. I used music from Youtube's Free Audio Library. I also learned about Elysta Music Youtube Channel with no copyright music; but I have not used it yet for my vlogs. I'm learning more about working with the audio portion of the recording. I adjusted the sound of the music down when I was talking in the video and then increased it toward the end of the video. 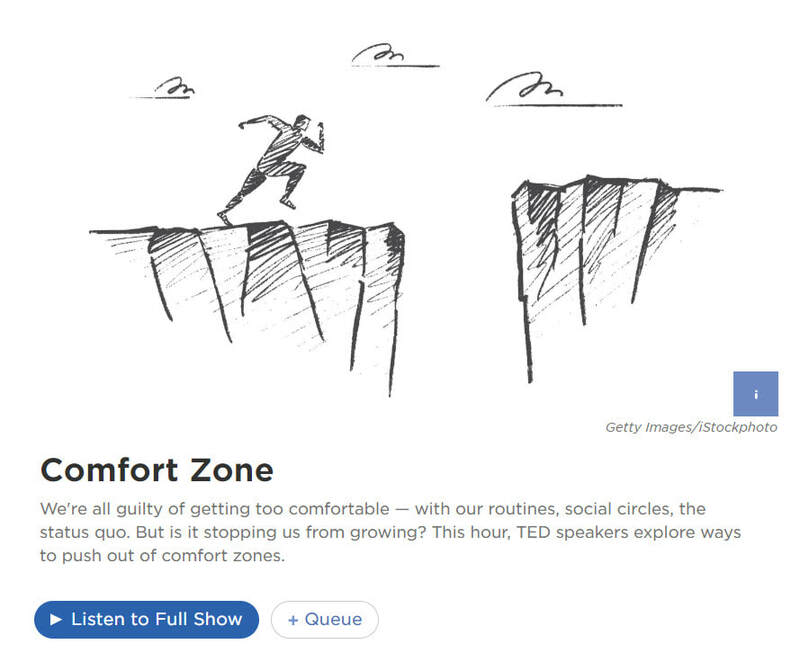 I happened to tune in to Comfort Zone: TED Radio Hour with Joy while we were traveling back to the airport for her flight home. It was so timely for me to hear this podcast because I'm definitely out of my comfort zone with making Vlogs ! I've been on a deep dive for 13 days into YouTube Creators Academy Lesson 4: Shoot on Mobile. I started fooling around with manual settings in the camera on my cell phone. I also took videos with my Nikon camera experimenting with different lights and sounds. 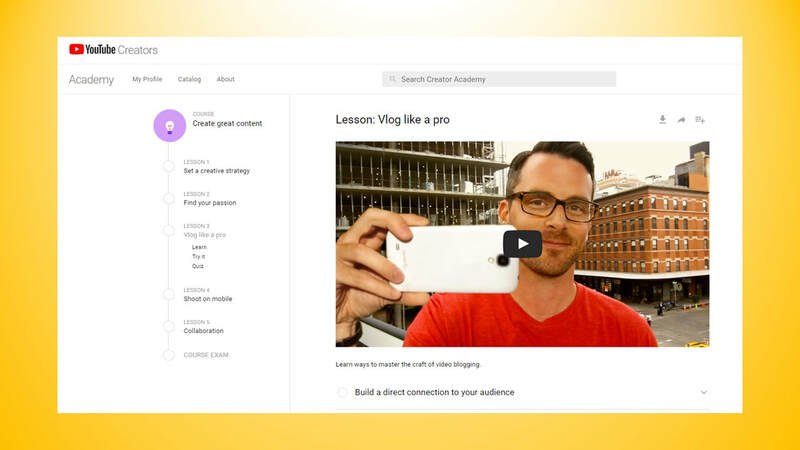 I say "fooling around" because I have surrendered any idea I had of creating great quality Youtube videos after seeing what the experts produce in these lessons. 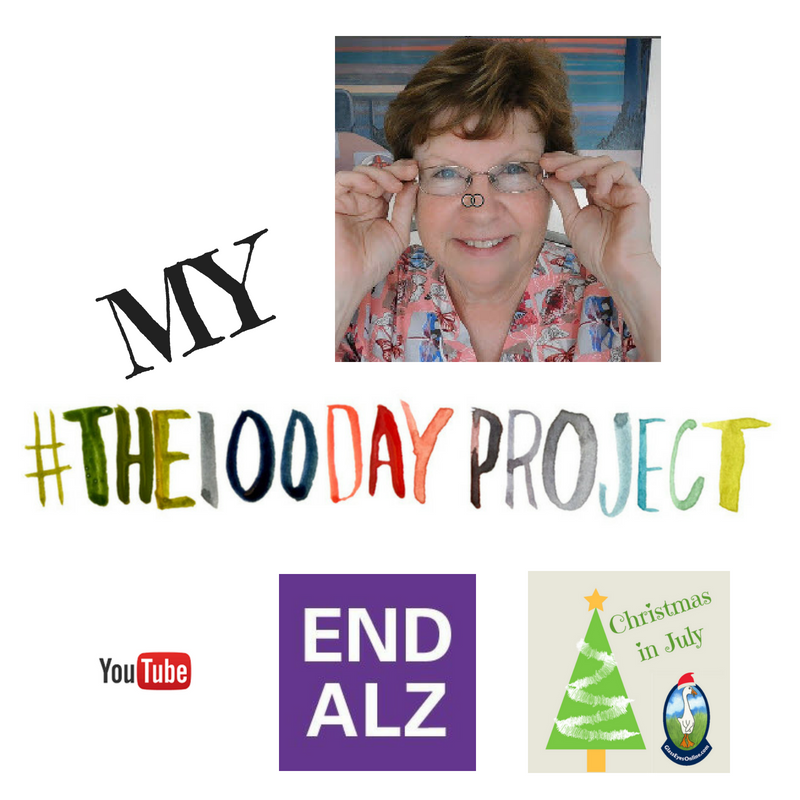 I'm shooting for Progess Not Perfection in creating Vlogs for My #The100DayProject to raise awareness about Alzheimer's Disease and promote our Christmas in July Event to raise funds for Alzheimer's Association. I learned about light sources in lesson 4 and experimented with recording and photographing in various lights. I used the shadow video as a lead in to introduce what I was learning about "shadowing behavior" experienced by people with Alzheimer's as the disease progresses. It becomes increasingly difficult for their brain to connect with and understand the world. Confusion and disorientation is frightening. The person afflicted with this disease may follow around their caregiver for support and reassurance day and night. This shadowing behavior can become an overwhelming burden for the caregiver. 2018 The Longest Day: Help Fight Alzheimer's Disease. Get involved! Today I watched Lesson 3 Vlog like a pro in the Youtube Creators Academy. I realized by the end of the lesson that I have to just do it... Make vlogs... Video Blogs to practice what I am learning. My first vlog reflects what I was learning today about eye contact; finding my tone; and getting to the point. 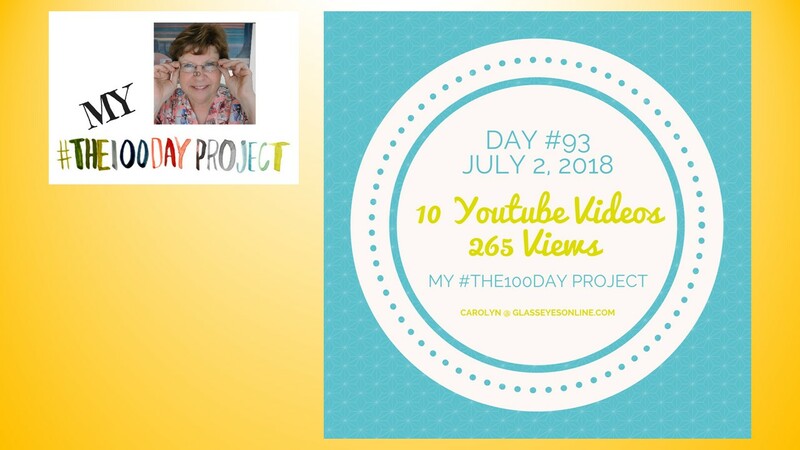 I've created my first video for My #The100DayProject ! ​#The100DayProject A Free Global Art Project 2018. 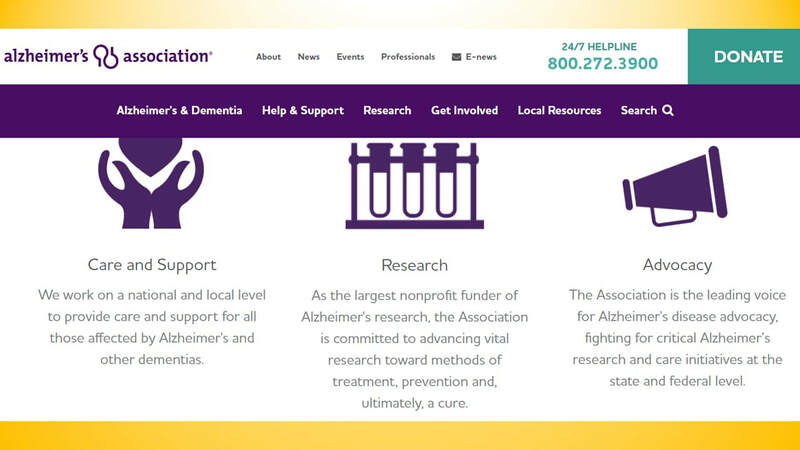 ​A Percentage of Net Proceeds being donated to Alzheimers Association.